When designing custom handrails for your residential or commercial space, don’t be afraid to design outside of the box! When utilizing stainless steel elements for your custom handrails, there are much more options to choose from than you think. Stainless steel can create a unique design element to any residential or commercial space. 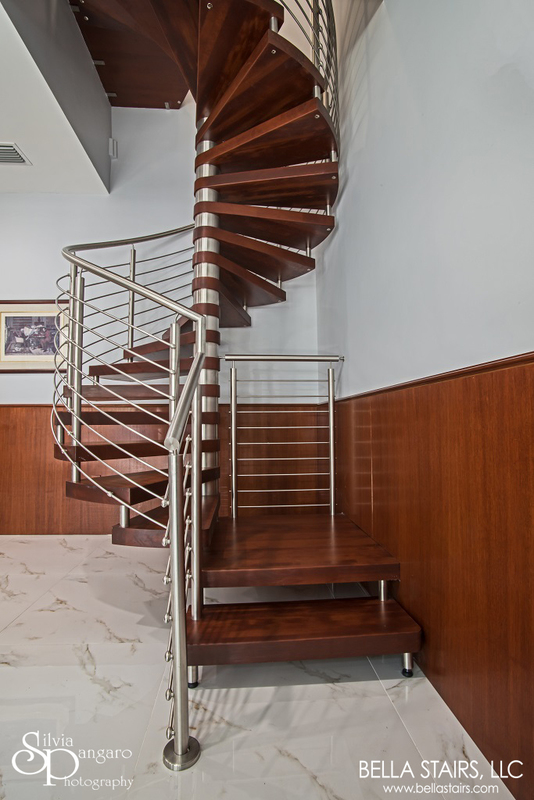 When implementing stainless steel to your custom handrail design, one option we have utilized in both types of spaces is brushed stainless steel. Brushed stainless steel handrails can be fabricated in either a straight fashion or a curved design! 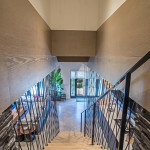 Another unique element you can implement into your design, especially if you desire to achieve a modern or contemporary ambiance, is choosing different types of finishes. If you are looking for a finish that differentiates from brushed or polished stainless steel, try designing with a black matte finish. 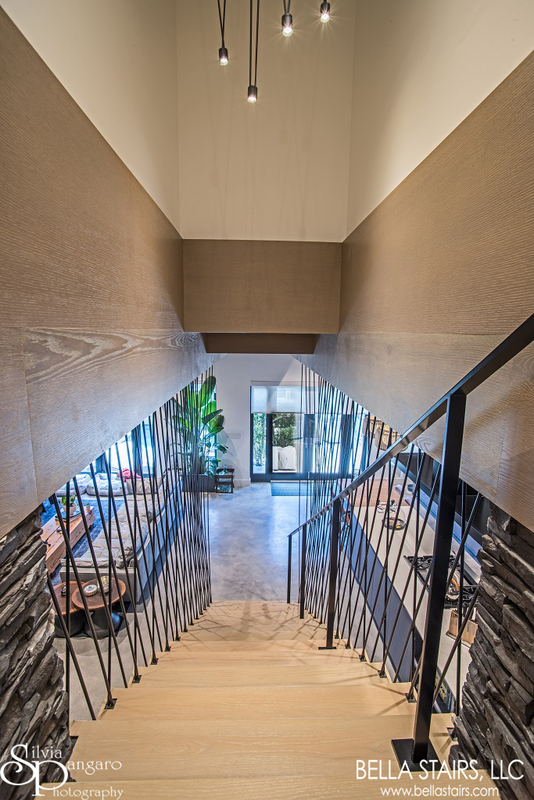 Using black matte finishes in your custom handrail design can create an artistically contrasting element to your space. Choosing a flat-bar handrail design can be an ideal aesthetic for achieving a contemporary or modern style. 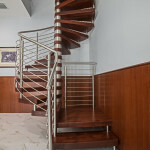 Commercial Space: Spiral Staircase with a Round, Curved Stainless Steel Top Mounted Handrail. 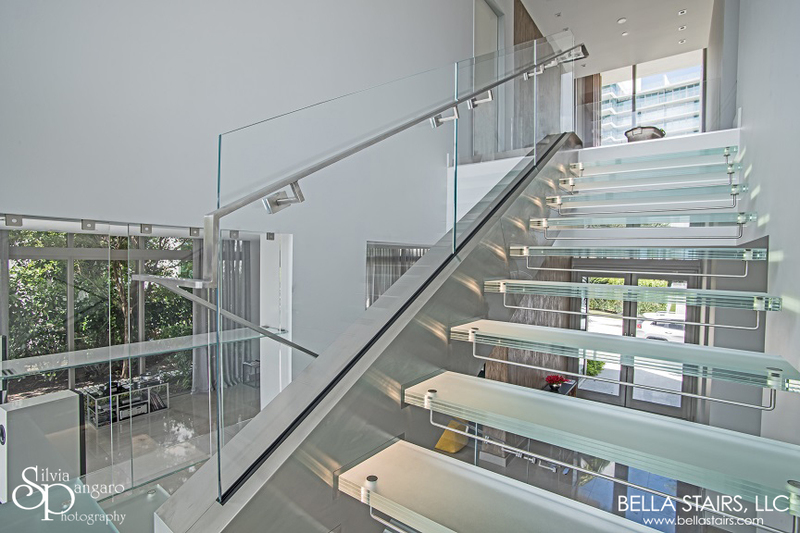 Residential Space: A brushed stainless steel flat-bar handrail was mounted directly onto the glass railings.